people make up Jackson's workforce. Actively engaged in supporting strong existing industry in this area, like LyondellBasell, Team Madison County is focused on serving the industry community and keeping Jackson thriving." Union's teacher training programs score high for the third year in a row. Team Madison County is the single most important factor in Madison County’s economic and industrial development success the past few years. The Jackson Chamber acts as the lead contact for industrial recruitment and existing industry support, bringing together members of the team, as needed, that include City of Jackson, Madison County, Jackson Energy Authority, the Tennessee Valley Authority and the State of Tennessee. Our community’s decision-makers are at the table from day one to help land high quality deals as well as to support existing companies to encourage growth. All team members work together as one cohesive unit and in a confidential manner, offering a level of comfort for company decision makers when discussing potential projects. Team Madison County provides a variety of services to local companies and companies considering the community for the first time. For companies considering Madison County for business location or relocation, Team Madison County serves as a resource to streamline the site selection process and assists companies with support that ranges from identifying buildings and sites, to financing and workforce training, to providing research data and identifying qualified incentives. Services include: Confidential access to local and state officials, real estate professionals, land and building owners, education officials, corporate executives, and other key contacts; Customized site and building tours; Facilitating incentives, agreements, and permit expedition. For the complete list of Festivals and members of the Arts Coalition of the Jackson Arts Council, go to JacksonArtsCouncil.TN.org. West Tennessee shoppers flock to Jackson because they like the variety of retail stores that Jackson offers in its two million square feet of retail space. Many of those stores are found in one of the many shopping centers. Let’s go shopping. From down‐home cooking to fine dining and multicultural foods, Jackson’s array of restaurants also brings people to town. Local specialties include pulled pork barbecue and catfish. Home‐grown entrepreneur Isaac Tigrett made Jackson’s barbecue world famous at the Hard Rock Cafe found in major cities. Find a local restaurant. Jackson and Madison county’s park system is a well-kept gem. The Jackson Recreation and Parks Department has been nationally recognized for its variety and depth of program services and its parks system. It has been ranked in the top 20 nationally for cities of similar size. The Department operates 12 parks, covering 850 acres. Madison County Parks offer a wide variety of activities for the entire family from youth football, cheerleading, wheelchair basketball, youth softball and baseball, BMX races, rodeos and horse shows, and historic reenactments. Facilities are also provided for volleyball, walking, and fishing. Jackson’s residents also are within an hour or two drive from several state parks, including Reelfoot Lake, which America’s bald eagle calls home in winter; and Chickasaw State Park and Natchez Trace State Park with their rustic trails and picnic areas. Paris Landing State Park and Pickwick State Park -northeast and southeast respectively from Jackson – sit on the scenic Tennessee River and offer boating, golf courses, lodging and other recreational activities. In 1998, the Jackson Generals were born when the formerly Memphis-based Southern League franchise moved to Jackson. The AA minor league team is an affiliate of the Arizona Diamondbacks. The Ballpark at Jackson is extremely fan-friendly. The last row of seats is a mere 30 feet above the playing surface. There are great sightlines and a well-stocked concession area. Corporate boxes round out the offerings. From college football to a host of adult and children’s recreational leagues also vie for the town’s attention. Jackson also offers golf courses, indoor swimming pools, tennis courts, two bowling centers, an outdoor inline hockey rink and well-kept fields for baseball, T-ball, softball, soccer and other activities. Jackson is home to The West Tennessee Healthcare Sportsplex, operated by the City of Jackson, Tennessee, is the Southeast’s premier youth baseball and softball facility. Located in the heart of West Tennessee and easily accessible by major highways, the Sportsplex is almost midway between Nashville and Memphis at Exit 85 on Interstate 40. With 17 lighted and immaculately groomed baseball and softball fields sitting on 70 acres, The West Tennessee Healthcare Sportsplex offers the perfect location for teams from any region. From apartments and townhomes to luxury single family and historical homes, Jackson-Madison County offers residents a wide variety of housing options, whether for purchase or for rent. The median cost of available housing in Jackson is below national and regional averages. Prospective homeowners can choose between new and established neighborhoods for homes within any price range. Because of the low cost of living, people can put a greater percentage of their incomes into housing they couldn’t afford elsewhere. People transferring in from other areas with higher housing costs find their equity goes further in a similar size home in Jackson or that they can afford a larger home. Jackson’s quality and diversity of medical care stands out from other cities. The physicians, hospitals and other treatment programs attract thousands of people a day to the community. The anchors of the medical community are Jackson’s two hospitals – Jackson-Madison County General Hospital and West Tennessee Healthcare North Hospital. Many of the community’s physicians are members of The Jackson Clinic, the state’s largest private multi-specialty clinic with over 120 physicians practicing in every major specialty. The West Tennessee Physician's Alliance is an organization representing more than 100 physicians who practice in smaller clinics. Jackson also offers a variety of specialty clinics with no need to travel for the care you need. A variety of new fitness facilities and wellness centers have transformed Jackson into one of the most health-conscious cities in the state. Jackson also is on the cusp of building new parks, walking and hiking trails, greenways, along with areas for kayaking and canoeing. 15 fitness centers operate in a city of more than 65,000 – with more health and fitness conscious operations on the horizon. The numerous variety gives Jackson more wellness centers per capita than any other city its size in the state. Get connected to good health by visiting any of the Jackson Chamber's Health and Wellness members. Jackson is home to various educational institutions, from Pre-K through 4-year post-secondary degree programs, that offer high quality academics. According to the 2016 U.S. News & World Report, Jackson has some of the top ranked high schools and universities in the nation. The Jackson-Madison County School System (JMCSS) is an award-winning school district, serving approximately 13,000 students in 23 schools. The schools offer quality education programs and enrichment opportunities to a diverse population of students. In addition to our well-regarded public school system, Jackson offers a broad selection of private schools options. Covering pre-school through high school education, they offer a range of programs through a variety of learning styles. 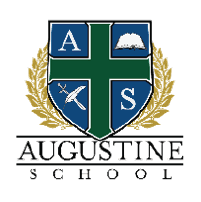 All stress outstanding academic standards. The Jackson area boasts six accredited four-year and postgraduate institutions, including a top-tier university. Jackson State Community College, Tennessee College of Applied Technology (TCAT), and West Tennessee Business College are all located in Jackson. They provide opportunities for the highest quality academic, technical and professional training for our region. 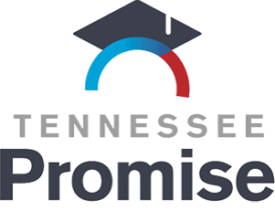 Tennessee residents may apply for the Tennessee Promise or Southwest Tennessee Reconnect Community scholarship, which will provide two years tuition-free education at a community college or technical school in Tennessee. A harmony of tradition and progress, Downtown Jackson celebrates the past while looking to the future. Learn about our cultural roots while experiencing today's art and entertainment. Enjoy our historic buildings as you discover our unique dining spots. Downtown Jackson is your source for authentic charm and diverse local flavor. Come discover the heart of West Tennessee…in Downtown Jackson! Located halfway between Nashville and Memphis on Interstate 40, people visiting Jackson find there is a lot to like. When Country connected to the Blues in Jackson the sound was heard around the world and Rock-A-Billy was born. Jackson is where baseball players, beauty queens, heroes, and legends are all connected. Jackson offers great place to stay, great places to eat, great places to shop, fun things to do, and interesting things to learn. Once part of the Chickasaw Indians’ hunting grounds, West Tennessee was opened for settlement in 1818. Early residents of the Jackson area set aside 30 acres for a city along the banks of the once-navigable Forked Deer River in 1822. They named their city Alexandria ‐ in honor of A.R. Alexander, whose home served as the meeting site of the first county court. Later that year, the town was renamed “Jackson” in honor of war hero and future U.S. President Andrew Jackson. One of Jackson’s earliest famous residents was Davy Crockett, the area’s U.S. Congressman. In one of his last speeches in the area, after losing his bid for re-election, Crockett left West Tennessee for Texas. Leaving was a fatal decision on Crockett’s part; he died defending the Alamo. Another famous resident was train engineer Casey Jones, who heroically stayed with his train and died in a wreck outside Vaughan, Mississippi. Casey’s house is now a popular tourist attraction in the Casey Jones Village, just south of Interstate 40 at U.S. 45 Bypass. Railroads have been an important part of Jackson’s growth: At one time, five railroad presidents lived here. For most of Jackson’s history, the economy also depended on the surrounding rich farmland. The richness of Jackson’s history is found in its neighborhoods and buildings. East Main Street, with its many Victorian period homes, and Northwood, developed after World War I as Jackson’s first “subdivision,” are on the National Register of Historic Places. Other sites on the National Register include the restored Carnegie Library, now a cultural arts center; Lane College, which opened in 1882 as a high school for African Americans; and the Bemis community, a cotton mill town developed in the early 1900’s. The city of Jackson is located in Madison County, Tennessee and is the primary city of the Jackson, Tennessee metropolitan area, which incorporates the cities of Humboldt, Medon and Three Way, Tennessee. Jackson's Mayor is elected every four years. The City Charter also provides for a legislative body of nine members, each elected by and representing a unique district. Visit the City of Jackson website to learn more about city government and services. Madison County's government is headed by an elected County Mayor. The legislative body for the county is the 25 member Madison County Commission. Visit the Madison County, TN website for more information about county government, local officials and services. For a list of local, state and federally elected officials, visit tn.gov. Considering a move to the Jackson-Madison County area? Take a look at our Jackson Tennessee magazine published with Livability.com. Or check out our Newcomer's Packet with information about everything you need to know at your fingertips. In Jackson, we know education is the key to a prosperous economy and a strong workforce. A quality education at every level is highly needed to fulfill the needs of our business community. Our education institutions are regarded as some of the best in the nation. Part of our workforce development strategy is talent retention. Jackson continuously produces great minds, skilled workers, and remarkable talents who have gone on to accomplish great things. It is our goal to motivate our best and brightest to call Jackson home, to stay here and make an impact. Jackson-Madison County School System (JMCSS) is home to over 13,000 students that speak over 17 languages from very diverse backgrounds. Our district is home to nine elementary schools, three K-8 schools, four middle schools, three traditional high schools, one magnet high school and one early college high school. Our high schools have career and technical education opportunities and dual enrollment. Additionally, our district is also home to one Pre-K Center for the youngest citizens ages 2-4. High school students can be dually enrolled at two institutions at the same time. At the high school level, the class is applied toward their high school diploma and while at Jackson State Community College and the Tennessee College of Applied Technology they are receiving hours toward their programs certificate or diploma. Jackson Central Merry Early College high gives students the unique opportunity to graduate with a high school diploma and an associate’s degree simultaneously. Early college high offers a rigorous college prep/workforce readiness curriculum through courses in advanced manufacturing, information technology, allied health and education. Visit Website. Jackson-Madison County School System district-wide TVAAS Composite Score earns a Level 5 which is the highest possible score and represents significant growth in our students. Madison Academic and Liberty Technology Magnet High School earned Level 5 and South Side High School earned Level 4 in TVAAS. TVAAS is a statistical analysis that measures student growth. Level 4 or 5 means that students tended to grow more in literacy than their peers across the state. The graduation rate for the district is up from the previous year (from 91.0% to 92.4%) and is also higher than the state average (88.5%). Our schools are among the best, earning a place on the 2016 U.S. News & World Report list of the best schools in the nation. There are several private schools in Madison County that serve our region. The Tennessee College of Applied Technology (TCAT) and Jackson State Community College’s Ned McWherter Center for Advanced Industrial Technologies are both located here in Jackson, with multiple satellite locations in the labor draw area. In addition to their own quality programs, each works closely with existing and new companies to develop targeted training programs that are customized to the clients' needs. They provide opportunities for the highest quality technical and professional training for our service delivery area. Tennessee residents can also attend these institutions tuition free through the Drive to 55 initiatives, TN Promise and TN Reconnect. Our community and technical colleges recently graduated over 1,400 students, all prepared to enter the workforce. Governor Bill Haslam has challenged Tennesseans with a goal to get 55% of Tennesseans equipped with a college degree or certificate by the year 2025. Drive to 55 is creating more opportunities for Tennesseans — to improve our quality of life. This initiative will substantially improve Tennessee’s future workforce and economic development. Complete Tennessee advocates for increased post-secondary access and completion. Tennessee residents can attend Tennessee College of Applied Technology (TCAT) and Jackson State Community College two years tuition free through TN Promise and TN Reconnect. The Jackson area's six accredited four-year and postgraduate institutions are an important part of the economic climate of the area. The talent pool of such varied higher education choices creates an extremely well- prepared workforce for area companies. Our area colleges recently graduated over 4,500 students. Jackson, TN has a Labor Region Population of over 300,000. Madison County, the geographic and cultural center of West Tennessee. Jackson's labor draw is comprised of Madison and the surrounding eight counties. Thirty percent of Madison County's workforce commutes from the surrounding counties, and the number is even higher in the manufacturing sector. The percentage of population with a bachelor's degree or higher is above state average. The average wage for the top 50 manufacturing occupations is 21&percnt; lower in the Jackson labor market than the national average wage for these workers. The area's pro-business environment and affordable and competitive labor are often the reasons cited for a company's decision to expand or locate in Jackson. The region is unrivaled in its supply of high-quality workers with dedication and work ethic to match. With wage rates lower than most parts of the country, a manufacturing union membership of less than one percent, and the fact that Tennessee is a right to work state, Jackson has the type of workforce that new and expanding industries need. Jobs4TN offers free assistance with the recruitment and screening of job applicants based on a company’s specific job requirements. More than 70,000 potential employees in statewide database. For more information, click here. Two of the reasons Jackson and West Tennessee are such great places for doing business are the business-friendly Tax structure and incentive packages available for new and expanding industries. These incentives include grants and tax credits for hiring and training employees. Jackson boasts the names of business in all sizes, from all across the globe. Our employers include advanced manufacturing and distribution, health services and education. From a strategic location to cost advantages and incentives, we are positioned for success. Join us, and you'll be in good company. "Team Madison County is different to any other local Chamber or Economic Development group I have ever worked with. They are actively engaged in supporting existing industry in this area, not just focused on trying to develop the area by adding new industry and businesses. They have helped me grow my business by providing economic benefits to expansion of our facility. Team Madison County is focused on serving the industry in the community — in any way that is necessary to keep this area thriving." One of the largest recyclers in North America, Gerdau has been in Jackson since 1981. At the Jackson mill, Gerdau recycles more than 600,000 tons of scrap steel annually, to be transformed into merchant bar finished products that include angels, channels, flats and reinforced steel. The Jackson location is one of 17 mini-mill steel production and steel recycling plants that Gerdau Long Steel North America operates. From snacks and frozen foods to its breakfast icons, The Kellogg Company is passionate about is family of brands and the markets where it is located. Since 1971, Pringles have been made in Jackson, TN. The local Kellogg plant now produces not only Pringles, but also Saltines, Graham Crackers and Club Crackers. As one of the largest aluminum casting manufacturers in the world, Toyota’s Bodine Aluminum, located in Jackson, produces engine block and transmission cases for every Toyota and Lexus model manufactured in North America. Toyota Bodine builds a culture of respect and teamwork both outside and inside the plant in Jackson. The company actively collaborates with community organizations and educational entities to promote workforce development initiatives, head diversity and inclusion activities and spearhead efforts to protect the environment. Stanley Black & Decker is a world-leading provider of tools and storage, commercial electronic security and engineered fastening systems, with unique growth platforms and a track record of sustained profitable growth. Since 1964, professional power tools have been manufactured in Jackson. The local Stanley Black and Decker plant is one of our largest manufacturing facility, and also serves as a customer service center and distribution center for the company. Owens Corning develops, manufactures, and markets insulation, roofing, and fiberglass composites. Global in scope and human in scale, the company’s market-leading businesses use their deep expertise in materials, manufacturing, and building science to develop products and systems that save energy and improve comfort in commercial and residential buildings. Through its glass reinforcements business, the company makes thousands of products lighter, stronger, and more durable. Ultimately, Owens Corning people and products make the world a better place. Based in Toledo, Ohio, Owens Corning posted 2016 sales of $5.7 billion and employs 17,000 people in 33 countries. It has been a Fortune 500® company for 63 consecutive years. Since 1990, Perseus Distribution, a member of Ingram Publisher Services, offers client publishers the benefit of its in-house expertise along with a full range of publishing services. Those services include Constellation - the most complete digital distribution service available – through which we offer short print run and print on demand capabilities as well as ebook distribution to key e-retail and library partners. Perseus specializes in working with independent publishers who are ready to move from a “one-size-fits-all” distribution model to one that better serves their particular needs. The Delta brand lives by three tenets: water has the power to transform the way people feel every day, there can be magic in simple solutions and innovations flow from human insight. The local plant, which has been in Jackson since 1995, produces Commercial and residential faucets. Union University’s School of Education has been rated in the highest possible category on the Tennessee State Board of Education’s report card on the effectiveness of teacher training programs for the third year in a row. The report card, which was implemented in its current version in 2015, is designed to give educator preparation programs information they can use to improve effectiveness. Union is one of only two schools in Tennessee to have received a score of four three times. Union was evaluated based on graduates who completed the undergraduate, graduate and Memphis Teacher Residency programs between 2015 and 2018. In addition to its overall score of four, Union scored a four in all three categories of the assessment for the first time. The three categories are candidate profile, which assesses the percentage of completers who are racially diverse or have endorsements in high-demand areas such as math and science; employment, which assesses the number and retention rate of completers teaching in Tennessee public schools; and provider impact, which includes teacher observation scores and student growth assessments. The full report card is available at teacherprepreportcard.tn.gov. When it comes to location, Jackson has the right connections. Major highways and interstates radiate from Jackson like spokes on a wheel. Just 80 miles east of Memphis and 120 miles west of Nashville, Jackson is located on Interstate 40. Located in the Central time zone, Jackson is one hour behind the East Coast and two hours ahead of the West, extending the working day for companies that do business throughout the country. Jackson’s transportation assets offer absolute advantages for product and supply distribution, just&dash;in&dash;time delivery, and business travel. Major highways include: U.S. 70 and U.S. 412 provide east-west routes, while U.S. 45 and U.S. 45 Bypass go north and south. State routes include Highways 18, 198, and 223. CSX, Norfolk-Southern and the West Tennessee Railroad connect Jackson by rail to the rest of North America. McKellar-Sipes Regional Airport offers multiple daily flights to St. Louis, MO, and flights to Atlanta, GA, through Air Choice One. The FedEx World Headquarters is located in nearby Memphis, which means lower transportation costs and faster delivery times for our growing industry base. Located one hour, twenty minutes to Memphis International Airport and two hours from Nashville International Airport. Industrial parks are served with direct interchange access. Jackson and Madison County are well connected with the United States rail system through three railroad systems short line West Tennessee Railroad, and two Class I railroads — CSX and Norfolk Southern. West Tennessee Railroad connects Madison County via direct daily interchanges with both CXS and Norfolk Southern. CSX is a Class 1 railroad with more than 21,000 miles of network track in 23 U.S. states, D.C. and Canada (Quebec and Ontario). CSX has a serving yard in Jackson, known as the “River Yard." CSX serves Jackson using trackage rights over the Norfolk-Southern line from the intersection with the CSX mainline at Milan, just north of Jackson. Norfolk-Southern Railroad offers daily rail service to St. Louis, Atlanta and Chicago, and points beyond through mainline rail connections. The Norfolk-Southern line in Jackson is part of the main north-south line that runs from Mobile, AL, to Centralia, IL. The Norfolk-Southern line ties Jackson service into its main east-west line at Corinth, MS. Intermodal service is available in Memphis. The West Tennessee Railway operates over 180 miles of track moving 15,000 annual carloads with 12 locomotives. Its main switching yard in Jackson moves grain, metals, chemicals, paper, flour, frozen foods, plastics, building materials and other products to and from industrial sites served by the West Tennessee Railroad in West Tennessee counties. The local management team is equipped to make local service decisions. The transloading facility in Jackson is a tremendous asset to the region. West Tennessee Railroad is a shortline railroad for Norfolk-Southern. Jackson is home to McKellar-Sipes Regional Airport. Located seven miles west of downtown Jackson. It provides regional commercial airline service, aircraft charter, major aircraft repairs and air freight handling. Open 365 days a year, the airport’s commercial service to St. Louis, MO, and Atlanta, GA, is provided by Air Choice One and is served by Hertz Rent-a-Car. The airport has a fully functioning FBO with amenities including crew cars, pilot’s lounge, weather station and ramp services. Located just 80 miles (one hour, twenty minutes) from Jackson, Memphis International Airport is a world class facility serving more than 10 million passengers a year. Non-stop passenger service is available from Southwest, Delta, United, American, Frontier and Allegiant airlines with limited delays. For 22 years in a row, the Memphis International Airport has been North America’s busiest air cargo airport. Located just 120 miles (1 hour, 45 minutes) from Jackson, Nashville International Airport is easily accessible. With 10 airlines operating 390 average daily flights to 50 non-stop destinations, BNA is an ideal choice for your business or personal travel. For a company that needs use of a port, there are two excellent options in West Tennessee— The International Port of Memphis and the Port of Cates Landing. Public Transportation is available through Jackson Transit Authority bus system which serves the entire city. Commuter transit and shuttle service is available through Affordable Taxi Services or KlickGO on demand transportation. When a company chooses to locate in Jackson, Team Madison County’s work is not done—it’s just beginning. Local companies know that the support they received throughout the recruitment process continues not only during the announcement and start-up process, but through the ongoing operations here in Jackson. Team Madison County stays in regular contact with area industrial leaders in a variety of ways including personal visits and emails, bi-monthly plant managers’ roundtables, monthly industrial human resources meetings, bi-monthly safety managers meetings, energy efficiency audits and more. Additionally, Team Madison County makes corporate office visits multiple times throughout the year to continue to foster relationships with existing companies. Training is also offered to area industrial leaders on topics such as&colon; Remaining Union Free, Supervisor Training, Healthcare Reform Updates, and others, as requested by local companies. Our existing industry base continues to thrive here as a result of the business environment that has been afforded to them. Two of the reasons Jackson and West Tennessee are such great places for doing business are the business-friendly tax structure and incentive packages available for new and expanding industries. In Tennessee, experience incentives designed specifically with your business in-mind. Lower operating costs reduce capital outlay and minimize risk. We know what it takes to earn your business. In Tennessee, we're fostering economic growth with flexible tax credits, incentives and grants geared toward your investment. For more information on the competitive state incentives available, click here. Manufacturing, distribution, call center or data center projects involving a significant capital investment and number of new jobs may qualify for Jackson-Madison County’s aggressive Payment in Lieu of Tax (PILOT) program. This program can enable a company to substantially reduce its tax burden during the critical early phases of operation. Companies are eligible to take advantage of the PILOT by entering into a lease-back arrangement with the Jackson Industrial Development Bond Board. A PILOT is offered as an incentive to both new and expanding companies. It can apply to industrial real property, such as the land and building, as well as personal property, such as equipment. PILOTs are considered on a case-by-case basis and are based on an analysis of job creation, capital investment and wage rates. Industrial Parks located within Madison County have been designated as part of Foreign Trade Zone Number 283. This designation enables companies locating in those areas to receive equipment, raw materials, inventory and elements that might be added to the manufacturing or distribution process without paying federal duties until the finished product is sold. A duty is a federal tax generally charged on foreign trade items. This status enables companies locating in Jackson to take benefit from significant logistical and competitive advantages. Operation of the 10-area trade zone is overseen by the U.S. Border Patrol’s Memphis office. The Valley Investment Initiative (VII) is an economic development incentive program jointly offered by TVA and participating distributors of TVA power. VII offers financial incentives to qualifying power customers who contribute to the economic development of the seven-state Tennessee Valley region and complement TVA’s power system resources. For more information, click here. Tennessee has the second lowest state and local tax burden per capita, and no income tax on wages. Unemployment Insurance The first $9,000 in wages paid to each employee are subject to this tax. The new employer premium rate for most industries, including manufacturing sector 31, is 2.7%. The rate is higher for construction (7.5%), mining and extraction (5.0%), manufacturing sector 32 (5.0%), and manufacturing sector 33 (6.5%). Minimum and maximum experience rates are 1.0% and 10.6%, respectively. Reliable Delivery. Customized Service. Competitive Cost. This is what industrial customers can expect in Jackson. A strong utility system is important to a community's economic future. Jackson Energy Authority (JEA) and Tennessee Valley Authority (TVA) are major players in Jackson's industrial and economic growth and in its ability to attract more jobs. JEA provides the necessary infrastructure of water, wastewater, electric and gas services so the community can grow. Through a variety of rate schedules and incentive programs, JEA can provide the utility service any industry needs at competitive costs. JEA's administrative and technical staff assist commercial and industrial customers with utility site information, rate calculations, technical assistance and engineering expertise. JEA's utilities are monitored continuously by a sophisticated computer network to provide reliable service and a quick response time. JEA is on hand 24 hours a day to handle emergency situations, such as voltage or pressure problems. Infrastructure is extremely important to companies as they decide where to expand and build new plants. JEA has a reputation for having a well-maintained utility system, long-term and reliable sources of supply and employees who know how to get the job done right. For rate information, click here. A healthy economy has a diverse portfolio of competitive and emerging clusters. Jackson has an experienced and diverse workforce, but there are also significant concentrations in a few key industries. Based on the skill sets of our workforce, our location and our strong infrastructure assets, there are five targeted industry clusters for which we recruit. Jackson provides food processing companies with redundant, reliable energy at a competitive rate. Our community boasts a unique mix of assets to accommodate this fast-changing industry, including a location with logistical advantages, a well-developed transportation infrastructure and a competent, experienced workforce in the food manufacturing sector. While other parts of the U.S. face water shortages, the Jackson Region has an abundant supply of water. The aquifer from which the Jackson Energy Authority (JEA) obtains its water is considered one of the best supplies in the country. Jackson Energy Authority’s water distribution system, which includes a network of elevated storage tanks and 800 miles of mains, ranging in size from four to 24 inches, has the infrastructure in place to support both new and expanding industry. Several food companies area already located in Jackson and they include Kellogg, ADM Milling, Pinnacle Foods, Mrs. Sullivan’s Pies, Pictsweet, and others. With its central location in the rapidly expanding Southern automotive corridor, Jackson offers automotive manufacturers accessibility and convenience in production and transportation. Jackson is home to a variety of automotive suppliers represent all stages of the supply chain. Jackson companies will experience low operating costs, an experienced labor pool and the utility infrastructure in place to support their growing needs. Jackson also boasts a cluster of Japanese automotive suppliers, seven of which call Jackson home. The existing automotive companies located in Jackson include Finishing Brands, LyondellBasell Industries, Metal Technologies, Pacific Manufacturing Tennessee, TBDN Tennessee Company, Tennalum, Toyota Bodine Aluminum, Toyota Boshoku Tennessee, UGN, and US Farathane. Jackson has been established as a “Gig City” and companies that locate here enjoy fhe advanced fiber infrastructure provided by Jackson Energy Authority. Jackson already calls the call center industry home and has a workforce available that is experienced with both in-bound and out bound calls, and with calls requiring a technical component. Existing call center operations include Apria Healthcare, Coram, Jackson Energy Authority, Kirkland’s, Portfolio Recovery Associates and Stanley Black and Decker. Companies located in Jackson will benefit from our strong transportation network. Sitting right on Interstate 40, and with 4 lane highways in every direction, Jackson offers the convenience of access to Interstate 55. Centrally located in the southeast, Jackson offers extensive access to rail transportation, and is within an hour of three intermodal facilities as well as the 2nd largest inland water port, the International Port of Memphis. Because of our transportation infrastructure and excellent connectivity, we can offer supply chain management solutions that give your company the competitive edge that will improve the bottom line. Jackson is home to major distribution centers including Kirkland’s, Perseus Distribution and Ryder/Kellogg. Jackson is an attractive choice for data center facilities thanks to a number of competitive advantages, including a low natural disaster risk, low cost power, and redundant fiber. Jackson, a Gig City, is home to the only Enterprise Data Center site in the State of Tennessee, a designation established by Deloitte Consulting and Tennessee Valley Authority. This site, Tiger Jones Technology Park, was deemed as ready-for-development, meaning it meets the requirements to support a major data center. Jackson’s cultural amenities offer symphony concerts to music fests, from community theater productions to the ballet, Jackson is known for the many art forms and celebrations of the arts. As a Jacksonian explained it, "Not only is there a great deal of art to be enjoyed in Jackson, you can often be a participant in the creation of the art, the theatre productions, the music." The Jackson Arts Council's mission is to connect and strengthen the arts. It promotes excellence in and access to the creation and experience of the arts. Serving as cultural partners with many organizations in the city, the Jackson Arts Council facilitates and supports the Arts Coalition, advocates locally and on a state level for the Arts, and also administers two grant programs: ABC and JAC. A variety of cultural/arts festivals are held in Jackson, including the African Street Festival, Archeofest, Bagels and Bluegrass Bicycle Century Tour, the Jackson International Food and Art Festival and Rockabilly Fest. For the complete list of Festivals and members of the Arts Coalition of the Jackson Arts Council, go to www.jacksonartscouncil.tn.org. From down&dash;home cooking to fine dining and multicultural foods, Jackson’s array of restaurants also brings people to town. Local specialties include pulled pork barbecue and catfish. Home&dash;grown entrepreneur Isaac Tigrett made Jackson’s barbecue world famous at the Hard Rock Cafes found in major cities. Jackson and Madison county’s park system is a well-kept gem. The Jackson Recreation and Parks Department has been nationally recognized for its variety and depth of program services and its parks system. It has been ranked in the top 20 nationally for cities of similar size. The Department operates 12 parks, covering 850 acres. Madison County Parks offer a wide variety of activities for the entire family from youth football, cheerleading, wheelchair basketball, youth softball and baseball, BMX races, rodeos and horse shows, and historic reenactments. Facilities are also provided for volleyball, walking, and fishing. Jackson’s residents also are within an hour or two drive from several state parks, including Reelfoot Lake, which America’s bald eagle calls home in winter; and Chickasaw State Park and Natchez Trace State Park with their rustic trails and picnic areas. Paris Landing State Park and Pickwick State Park – northeast and southeast respectively from Jackson – sit on the scenic Tennessee River and offer boating, golf courses, lodging and other recreational activities. In 1998, the Jackson Generals were born when the formerly Memphis-based Southern League franchise moved to Jackson. The AA minor league team is an affiliate of the Seattle Mariners. "The Ballpark at Jackson" is extremely fan-friendly. The last row of seats is a mere 30 feet above the playing surface. There are great sightlines and a well-stocked concession area. Corporate boxes round out the offerings. From college football to a host of adult and children’s recreational leagues also vie for the town’s attention. Jackson also offers golf courses, indoor swimming pools, tennis courts, two bowling centers, an outdoor inline hockey rink and well-kept fields for baseball, T-ball, softball, soccer and other activities. Jackson is home to the West Tennessee Healthcare Baseball/Softball Sportsplex it is located on approximately 65 acres adjacent to Pringles Park. It includes a 17-field facility that is used for local play, and also hosts national and regional tournaments. With 17 lighted and immaculately groomed baseball and softball fields sitting on 70 acres, The West Tennessee Healthcare Sportsplex offers the perfect location for teams from any region.